To the peoples of the world. The peoples, nations, and tribes who make up the National Indigenous Congress, express our outrage at the bad government’s cowardly attack against the Purépecha community of Arantepacua, Michoacán, on April 4 and 5 of the present year. In addition, an unspecified number of community members were injured, two of whom are in critical condition, as well as 38 arrested by the Michoacán government on April 4 and 18 more on April 5 on fabricated charges that seek to criminalize their demand for their rights. Brothers and sisters of Arantepacua, your pain over the murder of your compañeros is ours. We struggle because we are certain that punishment for the guilty will come from the dignity, resistance, and rebellion of our peoples. Sowing truth and justice amidst the destruction brought upon us by the powerful is what our peoples know how to do. The bad governments think that by spreading terror in the indigenous territories of Michoacán and across a large part of the nation they will be able to silence the peoples and their voice, but this will not happen, because the words shouted collectively today by the originary peoples are born precisely of our rage, our frustration and the decision to not allow ourselves be killed, dispossessed, divided, or bought off. An immediate halt to the escalated repression against Arantepacua and the Purépecha communities of the region. The immediate release of the compañeros detained by the bad government. Justice for the victims of this cowardly aggression and indemnification for all damages caused. Punishment of governor Silvano Aureoles and all those responsible, materially and intellectually, for the crimes committed. The withdrawal of the police and military forces from Aratepacua, given that as long as they are present the harassment of the community members will not cease. Arrival and in-person registration of indigenous council persons, authorities, representatives, and delegates, as well as of press and guests invited by the Coordinating Commission of the CNI. Inauguration and installation of the Constitutive Assembly of the Indigenous Governing Council for Mexico. Constitutive Plenary of the Indigenous Governing Council for Mexico and swearing-in ceremony of its members. Discussion and approval of agreements, resolutions, and declarations. The naming of council members to the Indigenous Governing Council should be carried out according to the guidelines indicated in Appendix I of this Convocation and in the regions documented in Appendix II. Any concerns with regard to the proposed regions or necessary revisions should be communicated to the CNI coordinating committee. Advance registration of indigenous delegates can be made through the CNI email:catedrajuanchavez@congresonacionalindigena.org. 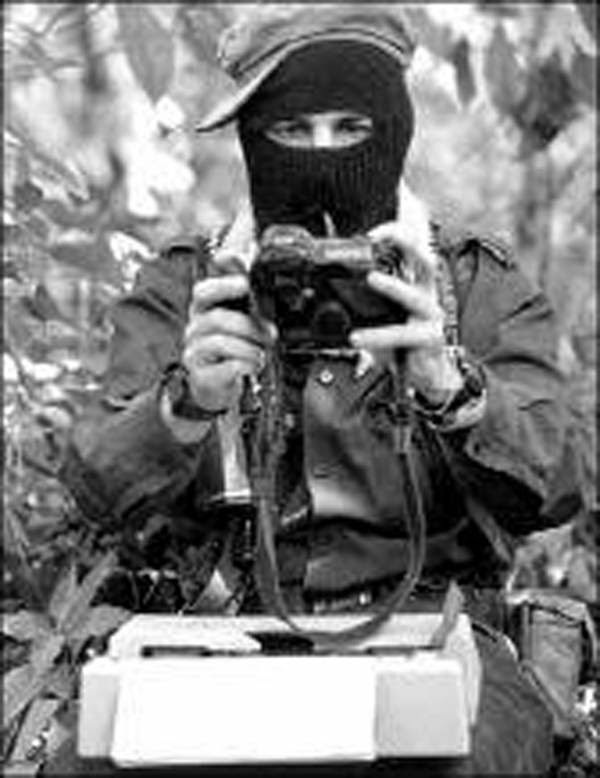 Those who are explicitly invited by the CNI coordination or the EZLN may participate as INVITED OBSERVERS. Members of the national and international Sixth who would like to attend as observers can register beforehand at the email: cni20aniversario@ezln.org.mx. GROUNDS FOR NAMING THE COUNCIL MEMBERS TO THE INDIGENOUS GOVERNING COUNCIL FOR MEXICO ACCORDING TO THE AGREEMENTS ADOPTED BY THE FIFTH NATIONAL INDIGENOUS CONGRESS IN ITS PLENARY ASSEMBLY JANUARY 1, 2017. The Indigenous Governing Council (CIG by its Spanish acronym) will be made up of two council members, preferably one man and one woman, from each of the participating indigenous regions in the National Indigenous Congress (CNI by its Spanish acronym) as indicated in the following appendix, with the exception of those peoples residing in the metropolitan zones of Mexico City and Guadalajara, who will name one council member from each people. The council members will be named through the assembly consensus of their people or in agreement with the traditions and customs of each people, and should be documented in writing. Those who are proposed as council members should obey the mandate of the people that named them and that of the CNI assembly, and work collectively under the seven principles of the CNI. Be nominated, named, and confirmed in Assembly or in the decision-making body of their people according to its traditions and customs. Have accompanied their people in struggle and have a congruent trajectory of struggle; they should be people who know how to work the land, who are humble, who listen to and serve their people, and who know the path of the CNI. Be anticapitalist, from below and to the left. The council members’ position will rotate over the time period decided by each people and is immediately revocable by the assembly or the body by which it was named. Council members should preferably be named before the CNI assembly programmed for May 27 and 28 in San Cristóbal de las Casas. The organization and functioning of the council members and the CIG will be agreed upon by that assembly. On the morning of March 28, a hundred state police evicted more than 200 displaced indigenous people from the municipality of Chenalho when they blocked the toll road between San Cristobal and Tuxtla Gutierrez to demand that the government guarantee the return of some 80 families. The operation left 14 civilians injured and, according to the authorities, 13 policemen. After the eviction, the displaced people went to the offices of the State Commission on Human Rights (CEDH in its Spanish acronym), based in San Cristobal de Las Casas. After the last violent events in main town of Chenalho at the beginning of the month, the families moved to this city until they obtained the necessary conditions for their return. In March, faced with the context of violence stemming from the post-electoral conflict in the municipality of Chenalho, several organizations and the Coordination of the Parish of San Pedro Apostol of this municipality issued statements to express their concerns, demand that the State to disarm armed groups and ensure the integrity and personal safety and life of the villagers of the municipality. Chiapas, Mexico. 24 March. “A lot of doves are around the prison, we are an organisation from different states and countries, different places”, reflects Esteban Gomez Jimenez, imprisoned since 2013 in the Playas de Catazajá Prison, and currently in Cereso 5 de San Cristóbal. He is held for organising against the dispossession of the ejido San Sebastián Bachajón, which borders on the tourist attraction the Agua Azul Waterfall. Esteban was accused by Manuel Jimenez Moreno, a Priista Verde Ecologista party member from Pamalha, of an assault he did not commit, but it’s on this pretence he was detained and later accused of other crimes. “One day, at night, when I was asleep, in my dreams all of a sudden the image came to me of a lot doves of different colours and I said “Oh my God, what’s going to happen? I thought I was alone”. Esteban shared these thoughts in a letter published by the solidarity work group, We’re not all here (in Spanish, “No estamos tod@s”). “Oh Lord, I don’t know how the compas are getting along” was another thought that along with the imprisonment is a penalty the indigenous Tzetal prisoner lives every day: not being with his community, organising alongside them against mega-projects imposed on the region. Santiago Moreno Pérez, a political prisoner from the same ejido Bachajón, requested “continued support for me because I am imprisoned in Playas de Catazajá Jail, I ask you to please share this information with your compas”. Santiago has been prisoner since 2009 in Playas de Catazajá, for accusations made by Priisstas from La Pimienta community. At the time he was detained he held the responsibility of Autonomous Security Advisor for the Other Campaign and he was accused of a crime he did not commit to strip him of his position. “The struggle continues, you too, compañeros, it’s necessary to keep fight on the outside, that’s how it is for me, struggle with my heart” shared Santiago, who is also an adherent to the Sixth Declaration of the Lacandon Jungle. In the same spirit, the spokespeople from the ejido Bachajon announced on 18 March the release of one of the three political prisoners from their community, Emilio Jimenez Gomez. They also asserted that they are “resisting and fighting together to say enough already” and they insist that they are not “accomplices of a system that imprisons the poor”, they oppose to a system where for speaking up you are attacked and sent to jail, “because you don’t want to participate in corrupt business that sells our lands to private businesses to make themselves millionaires”. “That is why we are building our autonomy, forging a new road of solidarity struggles, seeking a future in freedom” also stated the members of the National Indigenous Congress. On March 16, Emilio Jimenez Gomez, an ejidatario from San Sebastian Bachajon and adherent to the Sixth Declaration of the Lacandon Jungle (the Sixth), has been released from prison. He had been imprisoned in Playas de Catazaja, Chiapas (CERSS # 17) for two years and eight months. According to the “No Estamos Todxs” working group, “he was identified by PRI members from the Xanil community for an assault on a foreigner but the same foreigner said that the compañero was not the person who assaulted him. The PRI took him prisoner to Playas de Catazaja with the complicity of the preventative state police.” Likewise, the adherents to the Sixth of San Sebastian Bachajon, in their last statement, assured that Emilio Jimenez Gomez had been arrested for fight against dispossession in the Agua Azul Waterfalls. On March 18 and 19, a motorized Civil Observation Caravan in solidarity with Nuevo San Andres visited the village in the Chimalapas region where, on 24 February last, nine villagers suffered attacks, illegal deprivation of liberty and violence from the so-called “Chamula Army”. About 20 people, including community members from Santa Maria Chimalapa, civil and social organizations as well as members of the Human Rights Ombudsman of the People of Oaxaca (DDHPO in its Spanish acronym) participated in this caravan. About 100 people from 20 Tsotsil families from the Chiapas Highlands form the community of Nuevo San Andres, founded six years ago. Since the February aggression, they are practically living under siege for fear of being attacked again. Echoing their testimonies, the Caravan denounced the lack of actions by the federal and state governments to address the problems that endanger these families from Chiapas but installed in Oaxacan communal territory. The campaign will last nine months with cultural, political and religious activities. It will culminate with the commemoration of the 20th anniversary of the massacre on December 20th, 21st and 22nd, 2017, in Acteal, House of Memory and Hope.